The charming and beautiful community of Echo Place, surrounded by the magnificence of the lush countryside is what makes this neighbourhood such a desirable destination for homebuyers across all demographics. 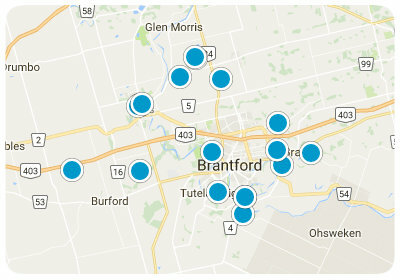 Located east of downtown Brantford, this community has everything a homebuyer could need. From convenient public transportation, an abundance of fun activities and entertainment, to a peaceful community where residents know each other by name, Echo Place could be the neighborhood you call home. Outdoor enthusiasts will adore living in Echo Place, due to its close proximity to the Grand River, Mohawk Lake and Mohawk Park. Residents enjoy early morning runs along the Forest Road trail, taking in the natural beauty as they sprint along the shore of the lake. Echo place hosts its own variety of amenities and activities, including the Echo Bowling Alley, two local churches, Echo Place school, numerous parks, walking trails, and all amenities. With a population of just over 7,500 Echo Place is the perfect neighborhood in which to invest. Buy a home in Echo Place and fall in love with the existential beauty of the community that residents enjoy all year long. Real estate in Echo Place varies from larger single-family homes to apartments and condominiums. Depending on the property’s size, style, and location, homes in the Echo Place community are found in very affordable price ranges and will suit the budget of any potential buyer. Most single-family homes fall into a range from 1,000 to 3,000 square feet of comfortable living space. Happy residents will welcome you into the community and will be delighted to share the beauty and safety of Echo Place that they have found for themselves. If you would like more information regarding homes for sale in Echo Place, please allow us to assist you and contact us today.